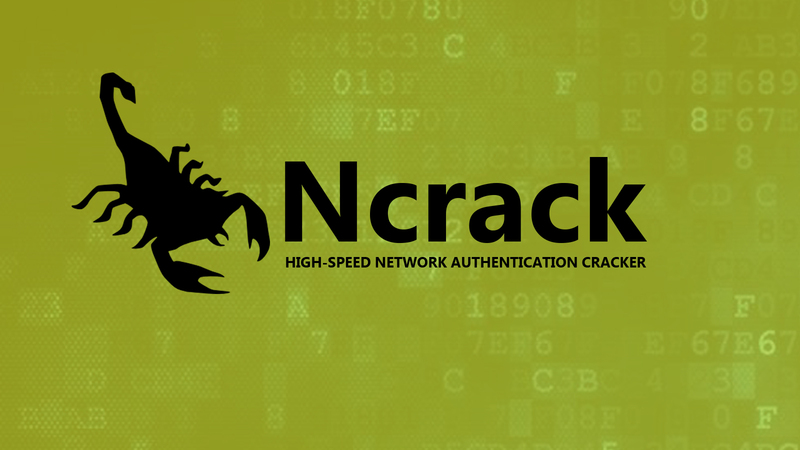 Ncrack is an open source tool for network authentication cracking. It was designed for high-speed parallel cracking using a dynamic engine that can adapt to different network situations. It can also be extensively fine-tuned for special cases, though the default parameters are generic enough to cover almost every situation. It is built on a modular architecture that allows for easy extension to support additional protocols. Ncrack is designed for companies and security professionals to audit large networks for default or weak passwords in a rapid and reliable way. It can also be used to conduct fairly sophisticated and intensive brute force attacks against individual services. The output from Ncrack is a list of found credentials, if any, for each of the targets specified. Ncrack can also print an interactive status report of progress so far and possibly additional debugging information that can help track problems, if the user selected that option. using -p which will be applied to all hosts in non-standard notation. (miliseconds), 'm' (minutes), or 'h' (hours) to the value (e.g. 30m). --passwords-first: Iterate password list for each username. Default is opposite. -oN/-oX : Output scan in normal and XML format, respectively, to the given filename.